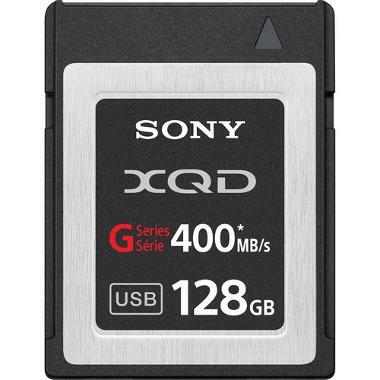 The Sony 128GB G Series XQD Format Version 2 Memory Card is designed specifically for those working in 4K and RAW images with the capability of writing for high speed burst shooting on DSLR cameras. It is compatible with Sony's professional 4K video cameras that accept XQD cards as well as DSLRs with XQD slots. This XQD card does not include a card reader. A card reader is rentable separately.